We invite you to explore and soak in the natural beauty around our resort. Dive into our Cliffeside Pool and soak in the dramatic views of the gorge and Columbia River. Feel the warmth from the summer heat as you relax and lounge in our lounge chairs alongside the pool. We share a driveway, name and history with our neighbors, Cave B Estate Winery, a short walking distance from our Inn. Winemaker Freddy Arredondo makes a wide variety of award winning wines. To learn more information please visit their website to learn more about their story and delicious wines. Cave B Inn & Spa Resort is not associated with the Cave B Estate Winery. Our neighbors thrill their audience each year with the roar and acoustics of the gorge. Please visit their website to learn more. 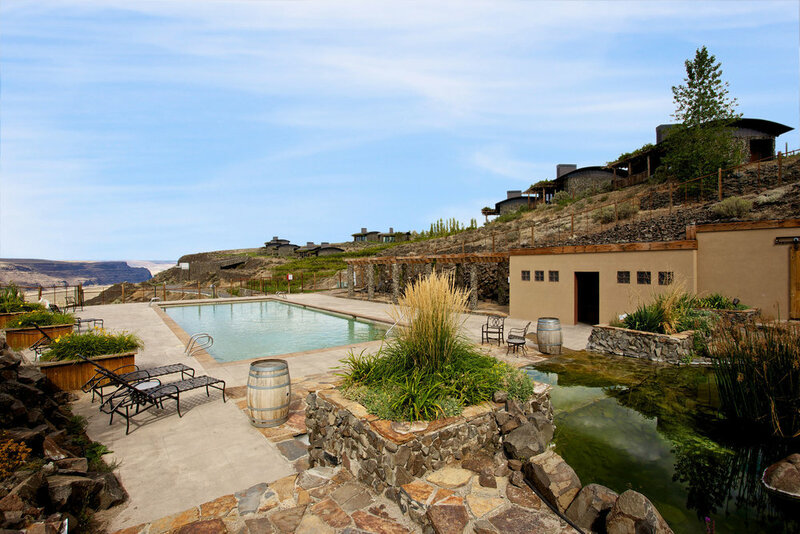 Cave B Inn & Spa Resort is not associated with the Gorge Amphitheater.